Charlotte and Mecklenburg County residents in neighborhoods with households receiving public nutrition assistance and with higher populations of children are more likely to be evicted from their homes, according to a newly released study. Conducted by researchers with the UNC-Charlotte Urban Institute and Mecklenburg County Community Support Services, the study maps evictions in Charlotte and Mecklenburg County for the first time. It found that evictions are centered on several neighborhoods throughout the city that are also areas with higher rates of poverty, higher populations of African American residents and where gentrification is occurring. The data shows that, since 2003, the number of areas where households are more likely to face evictions increased, and that those areas also shifted toward the edges of Mecklenburg County. Results of a similar study in Durham suggest that the findings probably hold true in many major urban communities. The 2018 report by the Durham Human Relations Commission on evictions in Durham County shows that the same indicators associated with evictions in Mecklenburg County were found there. The Mecklenburg County study showed that, in 2015, eviction rates in seven neighborhoods where evictions appeared to be clustered were at least three times higher than rates for the county as a whole. Those clusters also showed higher populations of people of color, individuals under the age of 18 and lower median household income, compared to the rest of the county. The study makes no claims about what happens to tenants or families once they’re evicted, but Morton said some of those tenants may wind up on the streets. “We know, with the writ of possession, that those are the folks who actually move forward with the sheriff overseeing the padlocking of the unit,” she said. The Charlotte researchers relied on data from the Mecklenburg County Sheriff’s Office, which records information related to the formal eviction process. Law enforcement first becomes involved in evictions when a landlord files a “complaint in summary ejectment,” which notifies tenants that they are at risk of eviction. A law enforcement officer then serves the tenant with the complaint. If the situation remains unresolved, a court issues a “writ of possession” to formally evict the tenant, which gives the landlord the right to padlock the home and remove the tenant. If the tenant makes a payment to the landlord or otherwise rectifies the situation that led to the eviction process being initiated, the writ can be returned without being served. Landlords in North Carolina can evict a tenant for one of four reasons — nonpayment of rent, tenants remaining in a unit past the expiration of a lease, the conditions of the lease are violated or criminal activity is occurring in the unit. The study reflects data collected related only to the formal eviction process, rather than instances where a landlord simply asks a tenant to leave or increases the rent to a level that’s unsustainable for the tenant. “Even though formal evictions are going down, we don’t know to what extent that’s complemented by informal evictions,” Morton said. The data shows that, both before and during the Great Recession, evictions were concentrated in an area east of Charlotte, near the intersection of W.T. Harris Boulevard and Albemarle Road. 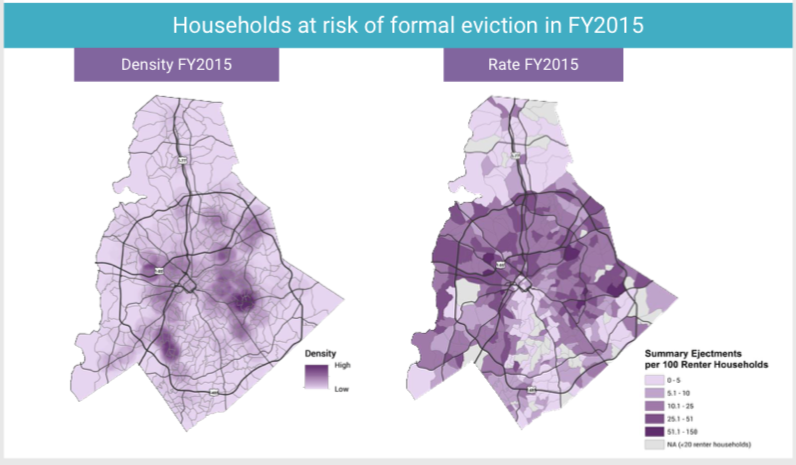 Evictions in 2015 were concentrated in areas in North, East and West Charlotte — neighborhoods that “have a larger share of renter households and are more racially and economically diverse than the areas with the lowest rates.” The researchers referred to the areas with the lowest rates of evictions as the “wedge” in south Charlotte between Ballantyne and uptown, as well as the suburbs in North Meck and the southeastern area of the county. 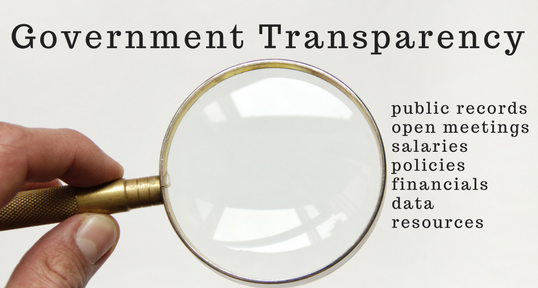 Morton said one predictor associated with lower rates of complaints in summary ejectment filings is development-based subsidized housing, a federal program that assists low-income families with housing.